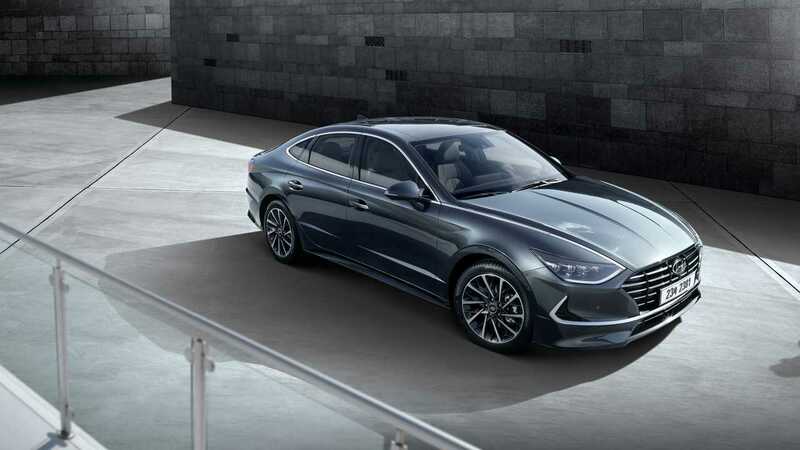 The new generation Hyundai Sonata debuted earlier this month with a design inspired by the Le Fil Rouge concept. The eighth iteration of the South Korean sedan brought a fresh new approach at the midsize sedan with a sleeker, coupe-inspired shape and larger dimensions. Unfortunately, when the vehicle made its premiere in early March, the automaker released just seven official images (see the gallery below) and left us with several questions about its design in our heads. Thankfully, a new 20-minute video from the folks over at Asian Petrolhead on YouTube gives us a detailed walkaround look at the new Sonata and shines more light on its looks. For example, did you know that the LED daytime running strip integrated into the headlights stretches in between the front fenders and the hood? This creates a distinctive C-shaped light signature at the front which corresponds nicely with the chrome trim in the bumper. In fact, the chrome trim of the side windows actually connects with the LED strip at the front. The new sleeker exterior is combined with a slightly larger body. More precisely, it has a 1.4-inch longer wheelbase and sits approximately one inch closer to the ground. This helps the Sonata look sportier and much more dynamic than its predecessor. At its launch, the new Sonata will be available with only a 2.0-liter gasoline engine. Bear in mind the video here talks about the South Korean version of the model, which is also going to be sold in a 2.0 LPI version running on liquefied petroleum gas (LPG). The range is expected to be expanded with the addition of a 1.6-liter turbo version, as well as a hybrid model by the end of this year. More details about the U.S.-spec 2020 Sonata will be revealed at the New York Auto Show next month.